You can’t make a resolution and hope to magically achieve it. That’s a wish, not a resolution. 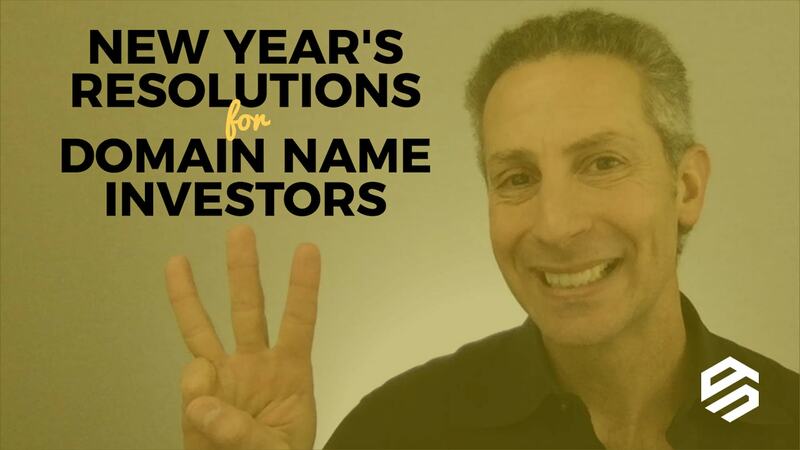 If you resolve to improve as a domain name investor, you need to practice. Here are three simple things you can do to improve your skills on a weekly basis. Even more important than increasing your domain name knowledge is applying that knowledge to the real world. The learning process simple: Knowledge, then application, then you own it. You know it. Because it’s the application of your domain name knowledge that will make you money, not the knowledge itself. If you haven’t made your New Year’s resolutions yet, I’ve got you covered. Here are three things that you can do on a weekly basis to practice domain name investing, internalize your knowledge, and improve your investing ROI. Number 1: Read the weekly DNJournal sales summary to see what selling and for how much. The sales report is published most weeks on Thursday, so you should make a recurring event on your calendar for 15 minutes to visit and review http://www.dnjournal.com/domainsales.htm every Friday. Read the weekly domain name sales report, see what’s selling and at what price, make note of extensions, keywords, brands, trends and prices, and focus on what’s selling! Number 2: Once a week do something to increase the size of your professional network, because the saying is true: the size of your net worth is directly proportional to the size of your network. Make a recurring event on your calendar for 15 minutes once a week to do something that increases or strengthens your network. Ideas to expand your network include starting or contributing to a conversation on the DNAcademy discussion forum, posting a thoughtful comment on an industry blog post, joining a DNA networking group, attending an in-person networking event like NamesCon or a local meetup, and discussing a potential purchase or sale with a peer. Start small when creating relationships, and don’t ask for anything to start. See what value you can provide. And Number 3: Check every domain name you own for passive sales opportunities you’re missing out on. Make a recurring event on your calendar for 30 minutes once a week or month to review your portfolio or names you’ve recently purchased. For every domain name, verify: whois privacy is turned off; the domain name has a for-sale landing page; emails from landing page arrive properly and aren’t spam filtered; and domains are listed in Afternic, Sedo, Uniregistry and other marketplaces with a buy-it-now price, if applicable. Now here’s your turn to take action. I’ve created three resolutions that I’m going to do and you can join and do as well. It’s on a free web service I launched in 2016 called Resolution Club. All you need is a Facebook account to join. Even more important than increasing your domain name knowledge is applying that knowledge to the real world. Make a resolution to practice what you’d like to improve. Happy, healthy and prosperous 2018 to you and yours! I’m retired now and I want to turn my domaining hobby into a domaining business. I plan to read at least 1 hour daily on domaining and business. I plan to find a mentor, or at least someone I can work with. I will learn how to use WordPress and develop Websites for my domains. I will learn about SEO and incorporate it in my websites. I planned to sign up for DNAcademy, but could not find a way to do it from this website. Those sound like actionable resolutions, Clifford. Nice! I would recommend you hold off on developing websites because it’s an additional skill on top of domain name investing and can add complexity. I recommend you either do development or domain name investing (one or the other) to start. How do I sign up for DNAcademy? On the $. Thanks Michael!